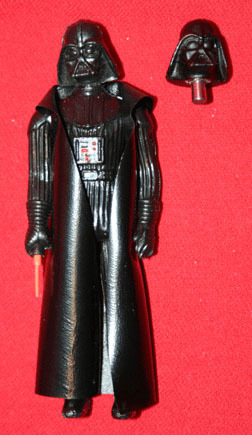 The prototype head seen here is for the Argentinian ROTJ Top Toys Darth Vader figure. It is referred to as a painted hardcopy and was cast using a silicon mold similar to the one seen here. Here is a close-up view of the hand painted head. 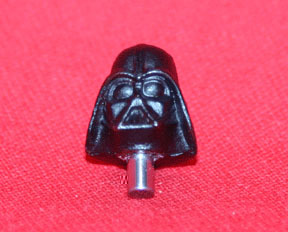 The large metal dowel protruding from the head once served as an attachment piece, enabling the head to be affixed to the hardcopy torso. Kenner hardcopies of the original 12 figures are exceedingly rare, so it's nice to this piece of Top Toys history has stood the test of time.